Beginning in the 2017-18 season, Hockey Canada is implementing a new policy that mandates cross-ice/half-ice hockey for players at the Initiation age level (traditionally 5- and 6-year-olds). The program is based with the players’ development in mind, starting with basic, technical skills. 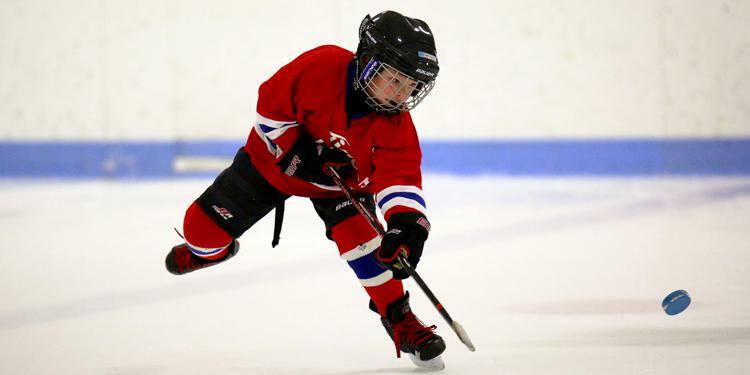 By designing practice and game play that is appropriate to the age, size and skill level of the participant, cross-ice hockey offers many benefits. An increased emphasis on skating skills boosts agility, balance, coordination and quickness while the number of puck battles rises. Players receive twice the amount of puck touches and double the number of pass attempts, shot attempts and changes of direction. The Initiation Program serves as the foundation upon which the entire minor hockey association is built. Youngsters at every level of play benefit from getting the “right start” in the game. The Initiation Program is crucial in building the skills of house league and competitive players alike. Children learn through participating in practice drills and informal modified games. The Initiation Program is closely aligned with Hockey Canada’s Long-Term Player Development (LTPD) Model.